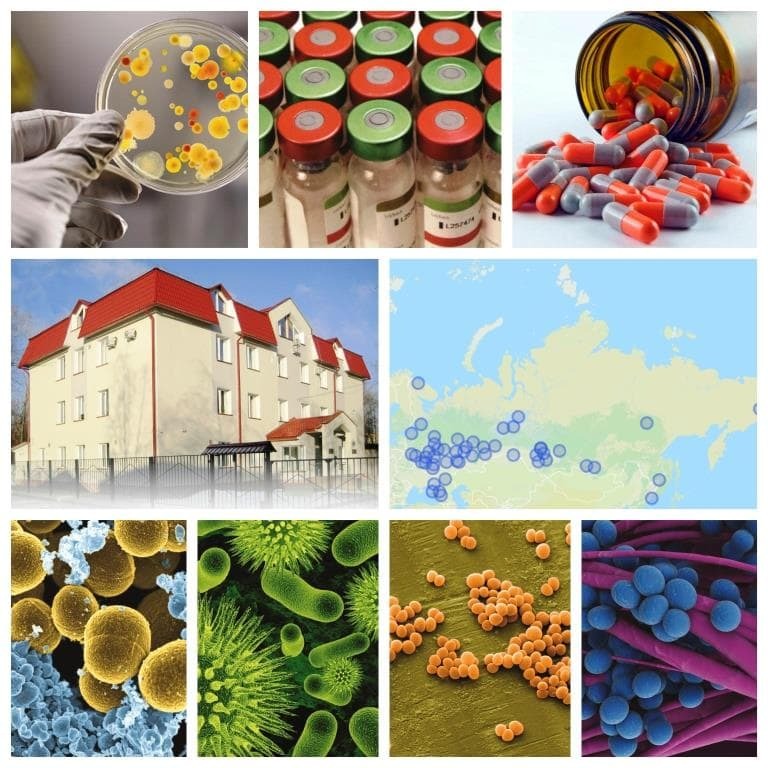 AMRmap (AntiMicrobial Resistance Map) is a web platform for analysis of AMR data in Russia that contains a set of tools to visualize the data on distribution of antimicrobial susceptibilities and main genetic resistance determinants in clinical microbial isolates. The AMRmap database accumulates the data from prospective multicenter AMR surveillance studies conducted by the Institute of Antimicrobial Chemotherapy (IAC) and the Interregional Association for Clinical Microbiology and Antimicrobial Chemotherapy (IACMAC). Currently, the database contains information on susceptibilities of >40,000 clinical microbial isolates collected in 52 cities of Russia in 1997-2016 and tested at central laboratory of IAC. The data on antibiotic resistance phenotypes and genotypes of Neisseria gonorrhoeae are accumulated from surveillance studies conducted by the State Research Center of Dermatovenereology and Cosmetology. Susceptibility categories to antimicrobial agents are determined according to current EUCAST Clinical Breakpoints and Russian National Clinical Recommendations on AST. The number in each cell indicates the percentage of isolates that are resistant to antibiotic in a column, of the total number of isolates that are resistant to antibiotic in a row. The trend reflects the proportion of isolates resistant to antibiotic 2 from the total number of isolates that are resistant to antibiotic 1. The table shows the number and percent of isolates resistant to antibiotic 2 of the total number of isolates resistant to antibiotic 1. The antibiotic resistance (R) rules are searched for from the actual data set and selected parameters using a heuristic algorithm. The searching algorithm does not take into account any predefined rules (e.g. species-specific intrinsic resistance). This tab shows the total number of isolates carrying specific markers annually collected as part of prospective surveillance as well as isolates referred to the central laboratory for identification or confirmation of particular resistance genotypes. Analysis of isolates collected in 2017-2018 is in progress. This tab shows the annual prevalence of resistance markers among consecutive isolates collected as part of prospective surveillance. Analysis of isolates collected in 2017-2018 is in progress. According to data from surveillance studies. Inter-regional Association for Clinical Microbiology and Antimicrobial Chemotherapy (IACMAC). Institute of Antimicrobial Chemotherapy (IAC), Smolensk State Medical University (SSMU). Companies are not supporting the development and implementation of the database, programming of analysis algorithms, development of web application, administration and development AMRmap.